A new holiday brunch favorite! Perfect for Christmas, Easter, or anytime the family gets together! 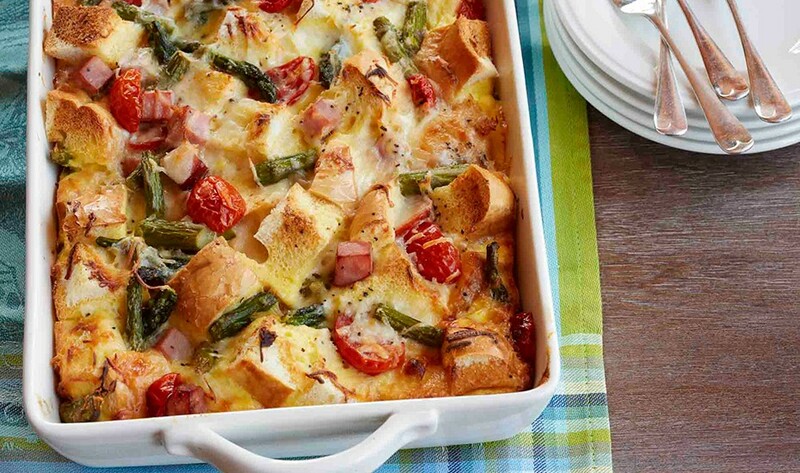 Make entertaining easy with this tasty ham, asparagus & tomato strata. 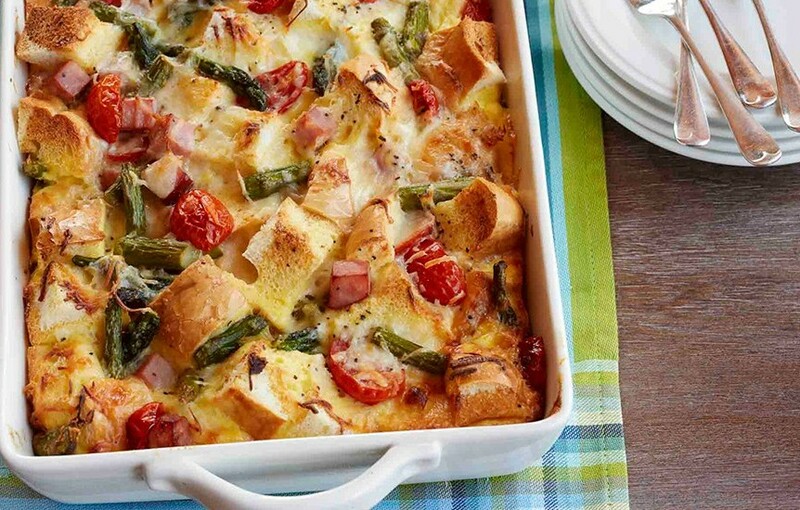 Make ahead and bake off in the morning for a delicious weekend brunch! Heat butter in large nonstick skillet over medium heat until hot. Add asparagus and onion, cook 3 to 4 minutes, stirring occasionally. Remove from heat. Stir in tomatoes and ham. Place 1/2 of the bread in greased 13×9-inch baking dish. Top evenly with layers of 1/2 of the asparagus mixture and cheese. Cover with remaining bread, asparagus mixture and cheese. Beat eggs, half-and-half, salt and pepper in medium bowl until blended. Pour over layers in baking dish. Cover and refrigerate 1 hour or overnight. Heat oven to 350°F. Bake 45 to 50 minutes or until puffed, golden and knife inserted near center comes out clean.